Brother Jon Band undoubtedly have that brightness & level of unified skill to make your night out one to remember, On top of this though, they put a little character into their songwriting, simple but effective choices both lyrically & melodically have the effect of making you really want to take home an album. They do what they do, they do it well, and their leading vocalist has something immediately characterful & appealing about his voice. 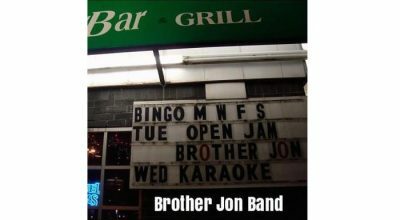 Open Jam is definitely a project to check out, as is a live show from Brother Jon Band.